The entire Fieldgate team is very proud to be the sponsor of this year’s Symphony in the Garden at Casa Loma in Toronto! Every week until August 25, 2015, there will be concerts put on at Casa Loma. On Mondays throughout July, the Soul in the City series, starring Sean Jones, starts at 7:30 pm. 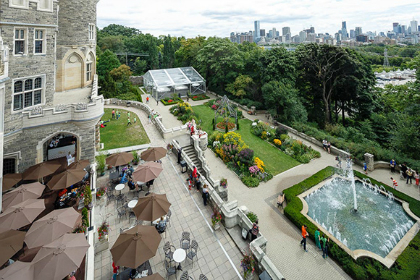 For the next two Mondays of July, Casa Loma will also have extended hours until 10 pm. On every Tuesday evening until the end of August, starting at 7:30 pm in the beautiful Glass Pavilion, the Toronto Concert Orchestra will perform a variety of numbers. The next few performances are titled Enchanted Garden, Sax and Violins, and My Way and will be conducted by Maestro Kerry Stratton. The Casa Loma summer series is a fantastic way to start a week, relaxing with friends and family, enjoying some of the best music the city of Toronto has to offer. If you’re interested in attending, check out the schedule here, and see below for the address and ticket prices. 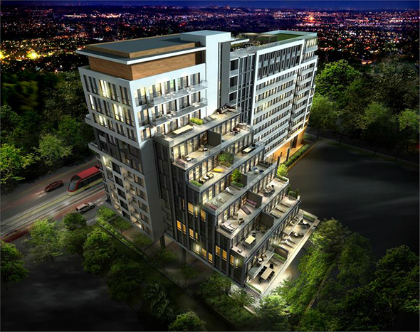 Located at 223 St. Clair Ave. West, Fieldgate’s latest condo development, ZIGG, is only a 7 minute walk from Casa Loma! Our boutique condo features 1-, 2-, and 3-bedroom condo suites, as well as townhomes. We are very excited to be a part of the incredible Forest Hill community! Visit our sales office at 90 Eglinton Ave. East to learn more about ZIGG. Hours are 12-7 pm Monday to Thursday, and 11-6 pm on Saturdays, Sundays, and holidays. A ZIGG representative can also be reached at 416-545-0223. Enjoy the Symphony in the Garden at Casa Loma!